for the monitoring of Photovoltaic (PV) systems. 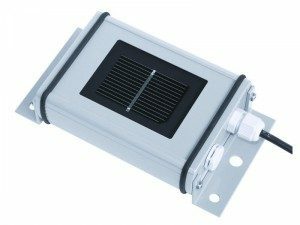 •Based on the construction of the sensor element corresponding to a PV module they are ideal as reference for the monitoring of PV systems. •Especially the spectral response comparable to PV modules as well as the similar inclination error (incident angle modifier) allow an exact analysis of PV energy yields using Si sensor data.! • The optional cell temperature is a very good alternative to directly measured module temperature and leads to a higher accuracy in yield forecasting. 0 to 1500 W/m² ./.